Spray a baking tray with frylight, add the chips and spray again. The whole dinner is just 2 syns on extra easy and is much more filling than a real Big Mac, plus you're not tempted to add milkshakes and apple pies to your order! It even got the seal of approval from Aaron and that's always a very good sign for a SW dinner! 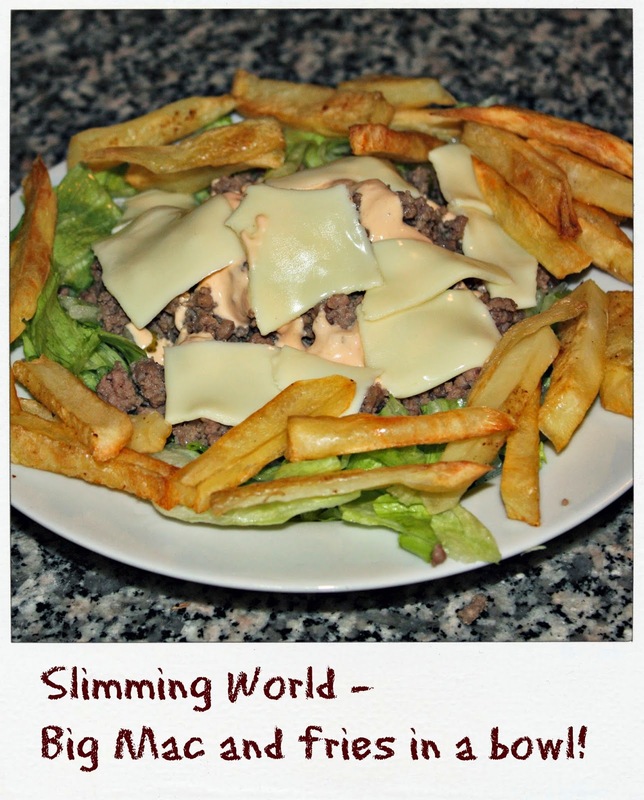 For ,more Slimming World recipes and my SW story see my Slimming World page. I also did slimming world for a while - following the plan without joining a group as there wasn't one here. It worked of course and the meals don't seem anything like diet meals. So why don't we all just eat like this all the time? #BaffledinJerusalem.